Accessory dwelling units may benefit owners and tenants alike. WHEN PATTI SHANNON purchased her waterfront home on Bainbridge Island in 2002, the property included a cozy, 1920s cottage. Shannon, a realtor with John L. Scott, rented out the guest house as an source of extra income. She leased it to a single mother and her son for three years and later converted it into a vacation rental. Throughout the island community, there are more than 330 accessory dwelling units, or mother-in-law apartments. But ADUs are anything but “granny flats” for aged relatives. They may serve as offices, studios, and nanny or caretaker quarters. That’s especially true on Bainbridge, where housing is tight and rising rents have turned spare space into hot—and handy—property. Some units, which are smaller than 800 square feet, are providing affordable housing for low-income workers who would otherwise get priced off of the island. Groups like the Housing Resources Board and the Health, Housing, and Human Services Council support the trend on the island and they’re planning to work with builders, developers, and investors to create more housing options. Over the past decade, an average of seven ADUs have been built annually on the island. In the first six months of this year, the city received six ADU applications. Seattle is grappling with similar housing needs. But whereas the island’s large lot sizes lend themselves to ADUs in detached structures like Shannon’s, Seattle zoning restrictions require that the unit be attached to the main housing structure. And because ADUs are often in basements, that means separate entrance and window requirements can be difficult to meet, says Seattle architect Anne Schwab. She has helped incorporate ADUs into many households throughout her career, and she believes they could become a common answer to rising rents and development in Seattle. Just this spring she designed two basement suites with a kitchen, living space, and sleeping quarters, and the way housing demands are rising, she expects to design quite a few more. Kick back or kick up the sand in Cannon Beach, a haven for art, bistro, and book enthusiasts, where miles of scenic beach and panoramic vistas beckon. Some of Oregon’s most-coveted waterfront real estate sits along the rustic coastline. This 1920s, Nantucket-style three-bedroom cottage has been fully remodeled and is just a stone’s throw from the ocean. The furnished home’s timeless touches, including a stone fireplace, a covered porch, wood-paneled walls, and checkerboard-tile floors, add to its cozy, seaside feel. Listed by Terry Sprague and Alaina Giguiere, Windermere Real Estate. During precious summer days there’s no better way to enjoy Seattle scenery than from a bird’s-eye view. Rooftop patios on condos and townhouses offer buyers unobstructed panoramas, gathering spaces, and a chance to soak up the sun. 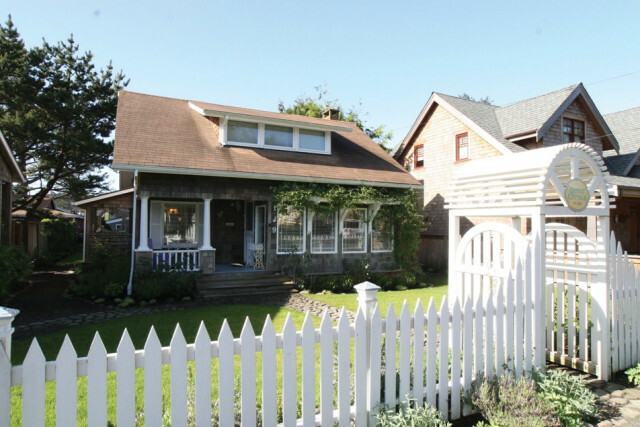 Details 2607 Western Ave, Ste 708; 670 square feet, 1 bedroom, 1 bath, built 2001. 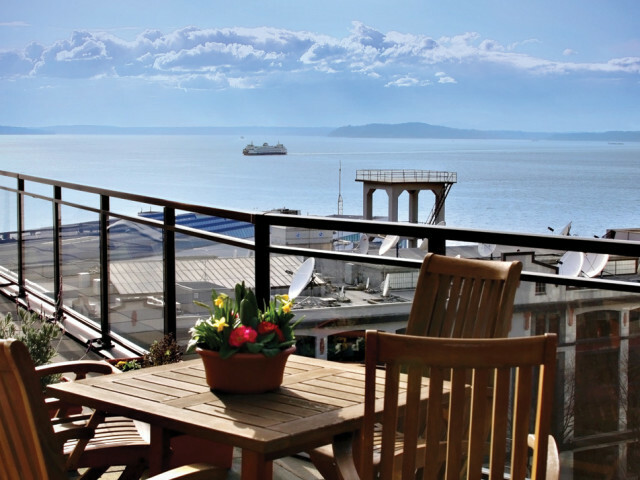 Selling Points Northwest facing, 200-square-foot deck with panoramic views of Elliott Bay and Olympic Mountains. Listed By Cameron Cooper, Coldwell Banker Bain. 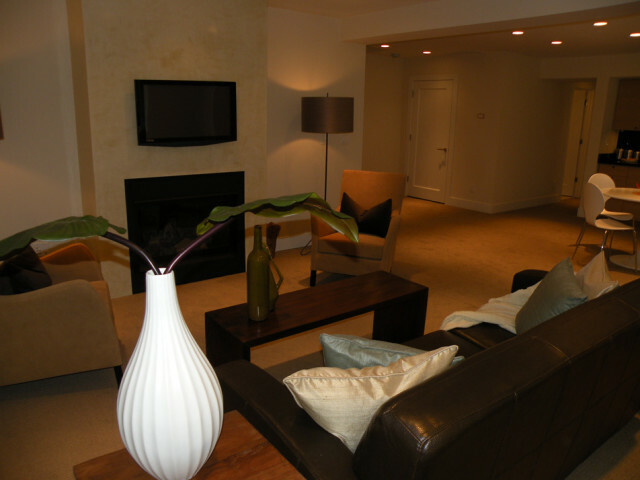 Details 1000 First Ave, Ste 2202; 1,444 square feet; 2 bedrooms, 2½ baths, built 2006. 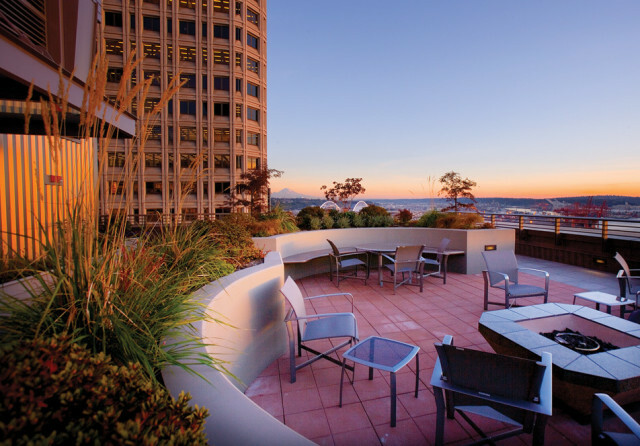 Selling Points Warm up at the fire pit or lounge on the benches while taking in the surrounding downtown and unspoiled views of Mount Rainier. Details 2032 Eighth Ave N; 3,933 square feet, 3 bedrooms, 2½ baths, built 2008. 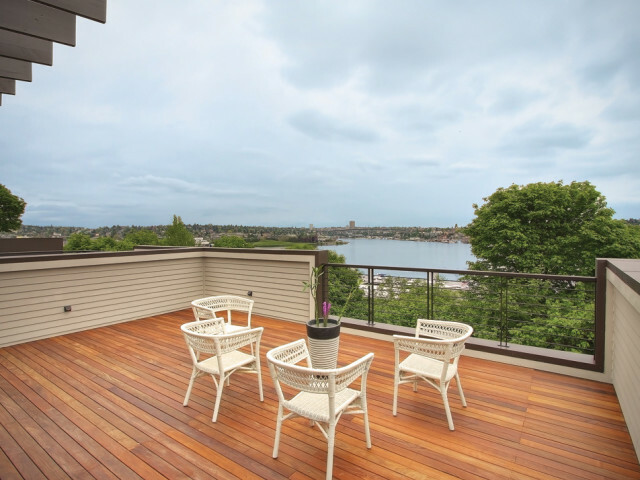 Selling Points 670-square-foot deck made with Brazilian walnut flooring; offers 270-degree vistas of Lake Union and downtown. Listed Points Jane Johnson, Windermere Real Estate.